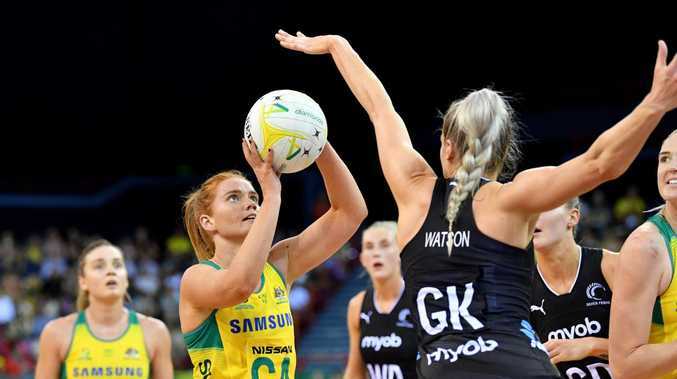 AUSTRALIA was able to out-grind then outshine New Zealand on the way to a 57-42 victory in the opening Constellation Cup Test at the Brisbane Entertainment Centre on Sunday. 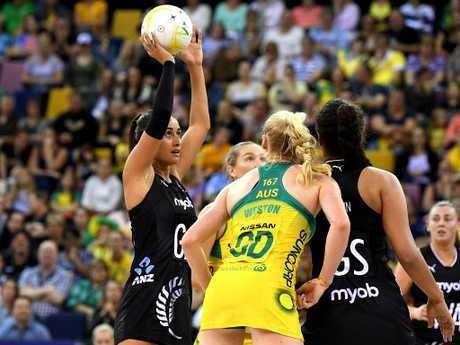 The Silver Ferns took it up to their trans-Tasman rivals in the first quarter as they tried to turn the tussle into a scrappy netball street fight. But it was all Australia after the quarter-time break as they were too classy and too calculated to draw first blood in the four-Test series that heads to Townsville on Wednesday with the final two match-ups in New Zealand. 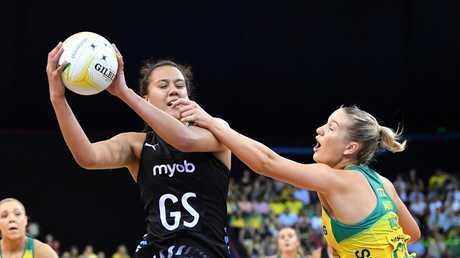 The Diamonds sizzled in the second quarter, outscoring the Silver Ferns 14-6 before kicking away again in the third quarter with a 20-11 term to all but end the match as a contest with a 44-27 buffer at the last change. Australia embraced the squad mentality with shooters Caitlin Bassett (17/21) and Steph Wood (7/11) making way for Caitlin Thwaites (21/21) and Gretel Tippett (12/12) in the second half with Tippett providing the highlight of hitting a shot as she fell out of bounds. 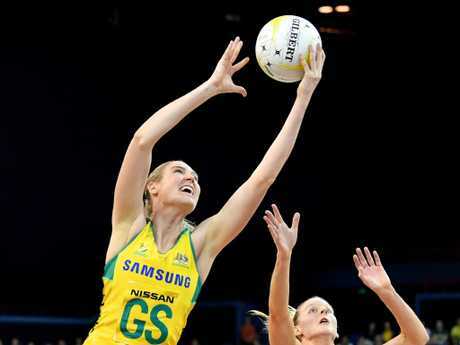 Diamonds coach Lisa Alexander also rotated her midcourt and defensive end with Australia's superior depth ensuring they kept the pedal to the metal for the four quarters with Liz Watson leading the charge at wing attack and centre before being replaced late in the fourth quarter. The relentless pressure was too much for the Silver Ferns who have made great strides since their Commonwealth Games disaster under recently appointed head coach Noeline Taurua but still have work to do ahead of next year's World Cup in Liverpool. New Zealand hustled and bustled Australia early and they jumped out to an early 7-4 buffer with intercepts, deflections and handling errors dominating the opening exchanges. But the Diamonds were able to weather the storm and quickly found their rhythm to peg back the Kiwis before quarter-time before marching on to their fourth-straight win since their own Commonwealth Games shock when they lost to England in the gold medal game. Maria Folau kept New Zealand in it with 10 goals at halftime but Australia's suffocating defensive pressure kept goalshooter Maia Wilson to just three attempts in the second quarter. Folau finished with 26 goals from 29 attempts but got precious little support from her goal shooters.